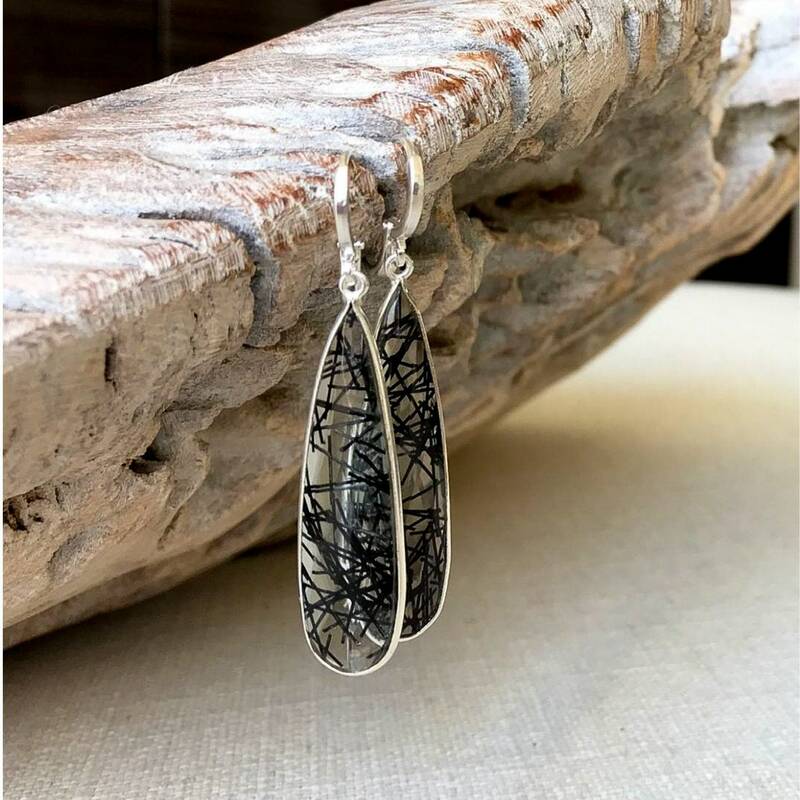 These gorgeous, long & sleek faceted black rutile quartz gemstones dangle from silver plated leverbacks. 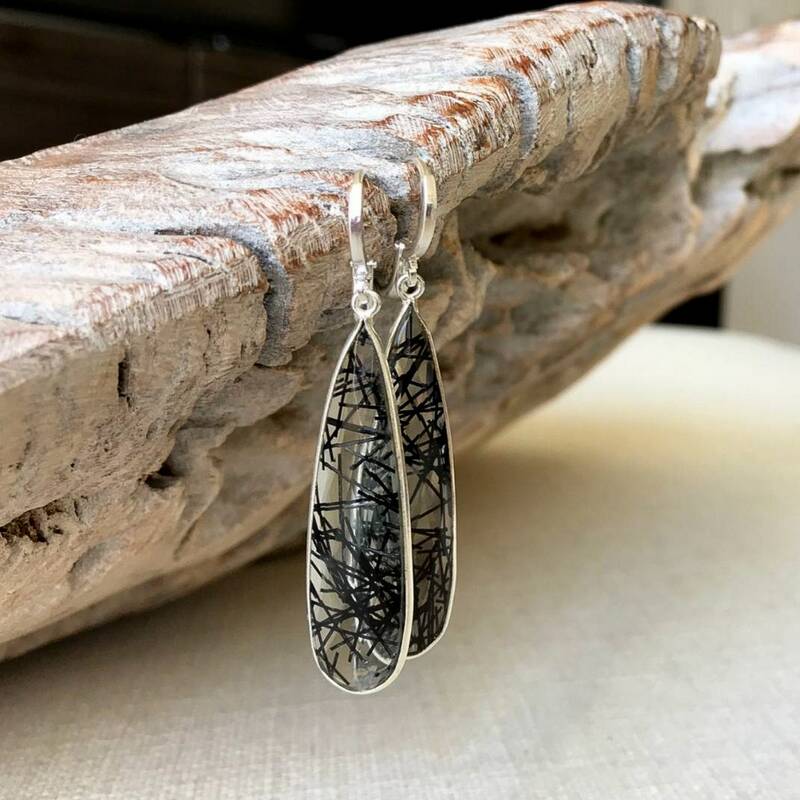 Black rutile quartz is also known as tourmalinated quartz, clear quartz with black tourmaline inclusions. Simple yet elegant earrings that make a wonderful addition to any outfit. The earrings measure approx 2.25" from end to end. The tourmalinated quartz bezels are approx 1/2" at their widest point. Very fast shipping. The earrings were exactly as I expected from the photo and description. The backs aren't difficult to open and close. I recommend this vendor! Was a gift that my mom was very happy with! Really beautiful work. These are so pretty and light weight! 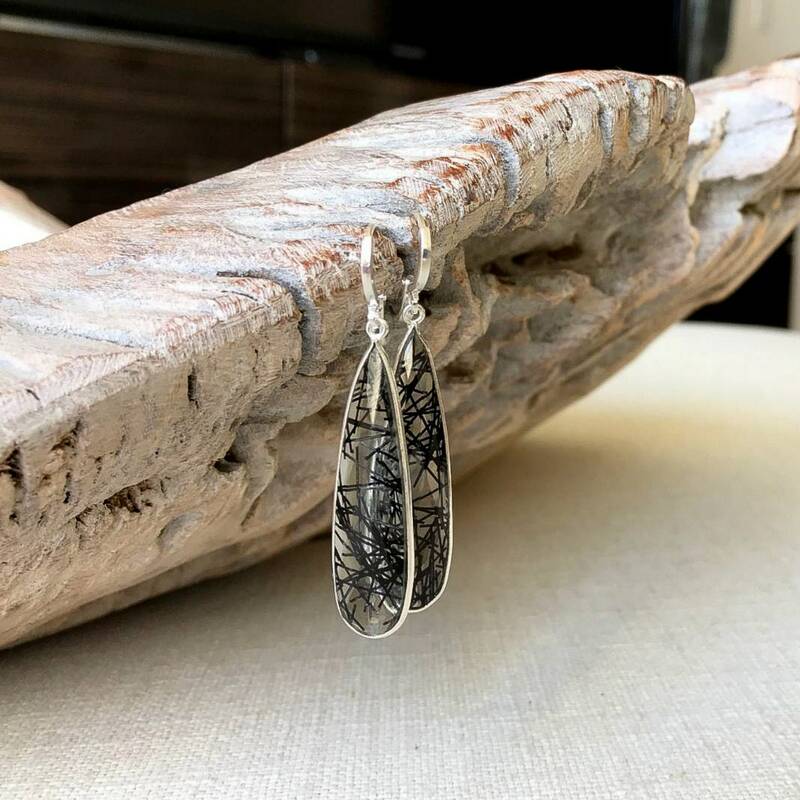 Received the beautiful faceted black rutilated quartz earrings in time to wear to a neighborhood holiday party! They're even more beautiful than in the photos. Very pleased with the purchase and impressed with the vendor! My earrings arrived today! They are even prettier than the photos online. Thanks!